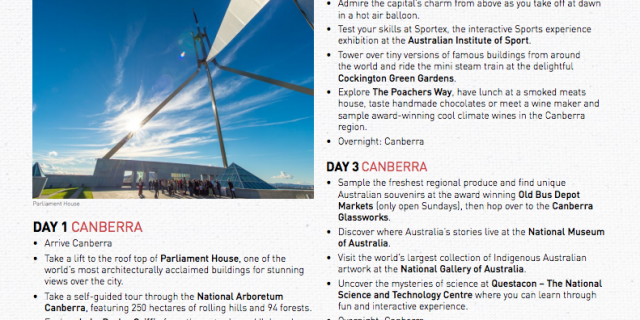 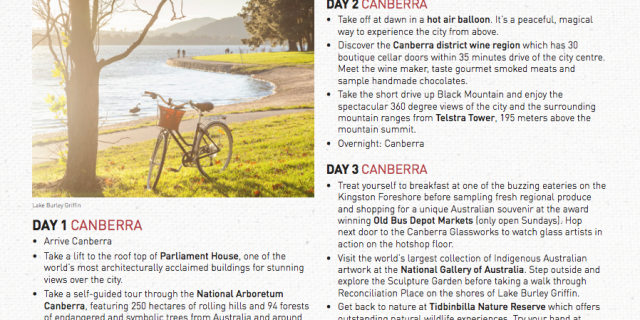 To get started, simply go to images.visitcanberra.com.au and become a registered user. 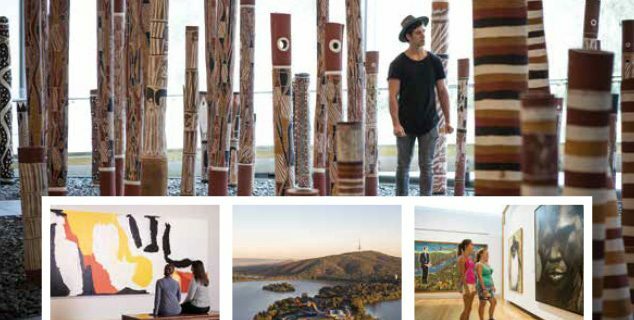 There is no charge for registration and it is a simple process – just click Register on the right of the page and follow the instructions. 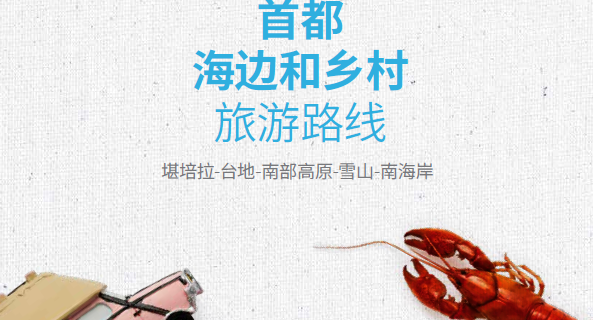 The image librarian will respond to your request within 24 hours during weekdays. 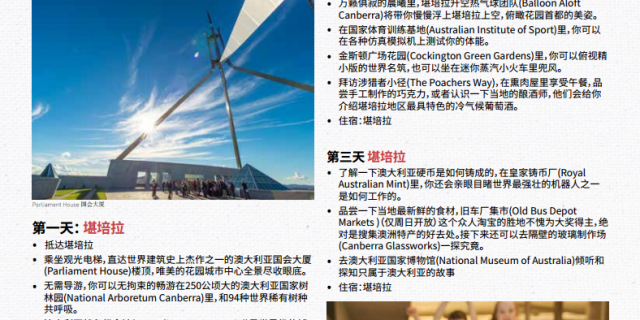 Images are free to media using images for tourism-related editorial. 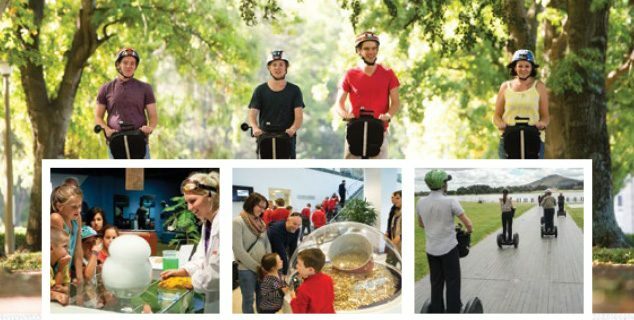 Canberra and Region tourism industry members and ACT Government department users may also have their fee waived – contact VisitCanberra’s image librarian for more information. 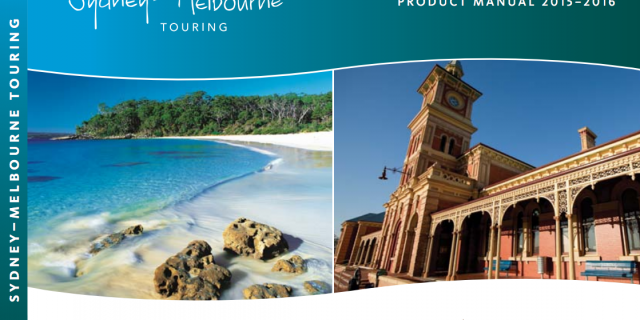 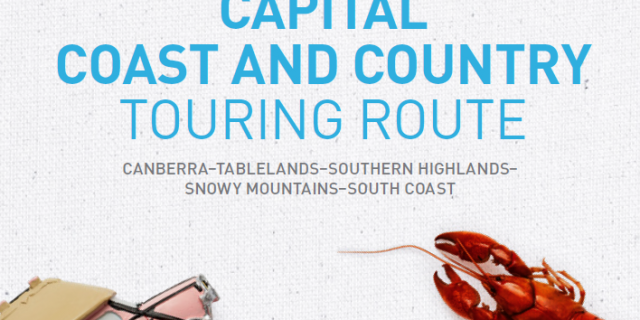 Only a short three hour drive from Sydney, Canberra is part of several internationally recognised touring routes including the Sydney–Melbourne Touring Route (Heritage Drive), Grand Pacific Drive, and the new Capital, Coast and Country touring route. 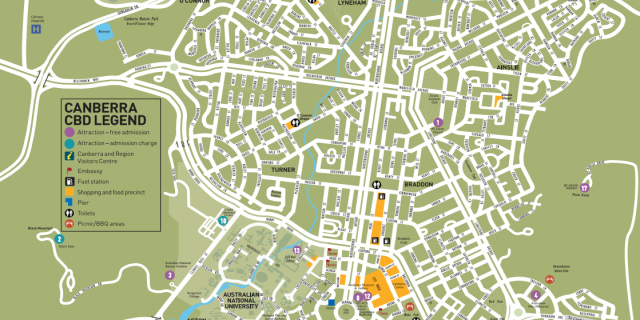 There are no road tolls within Canberra, easy access, ample and cheap parking at all national attractions, and minimal traffic congestion making Canberra an easy and perfect self drive destination. 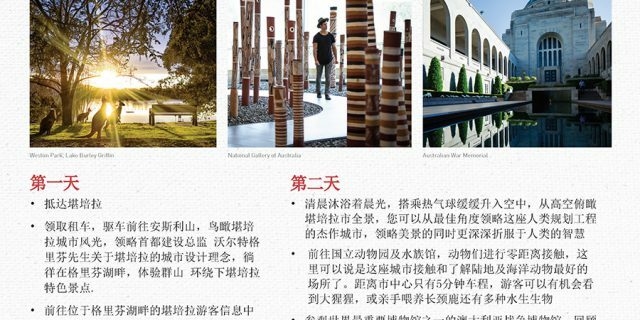 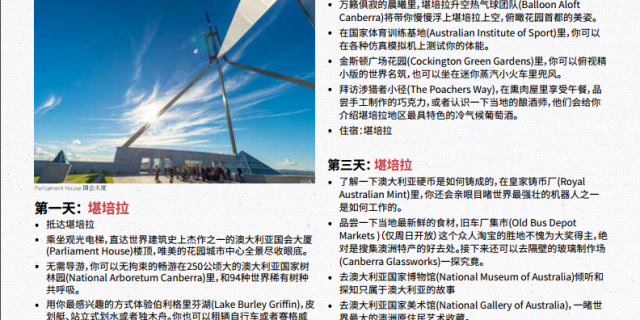 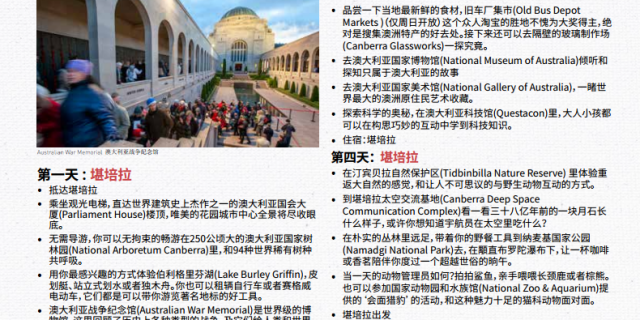 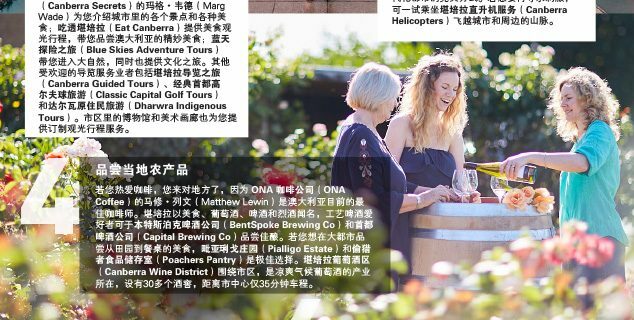 VisitCanberra hosts a number of international trade familiarisations (famils) each year showcasing the variety of experiences on offer in Canberra and the region. 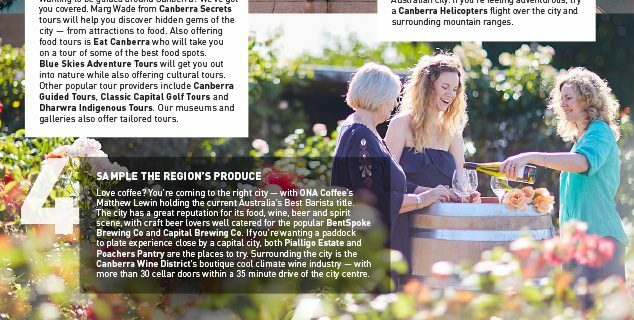 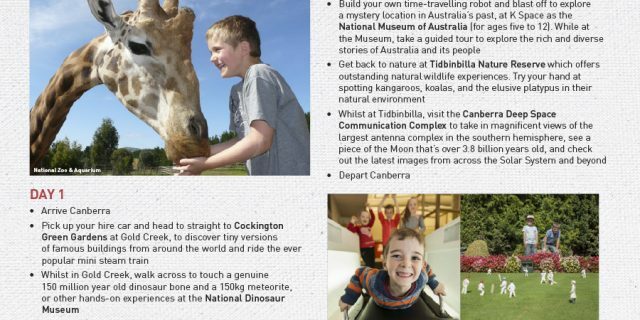 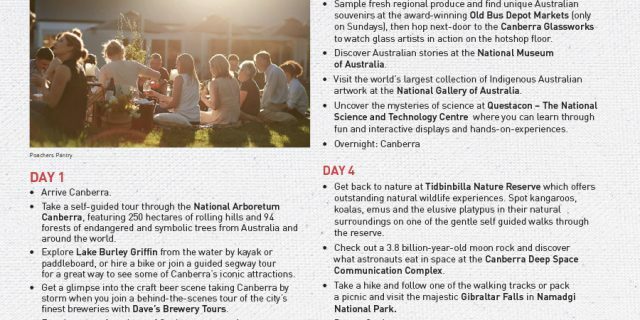 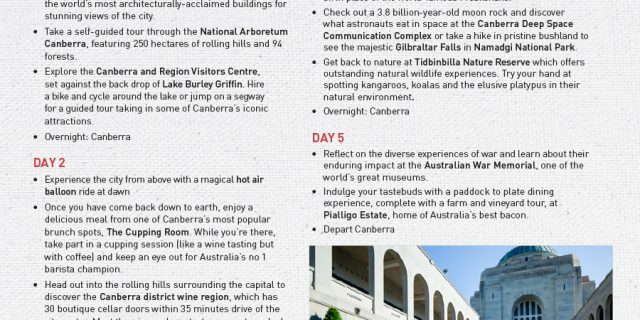 Famils are one of the best ways to learn about Canberra through experiencing the destination first hand. 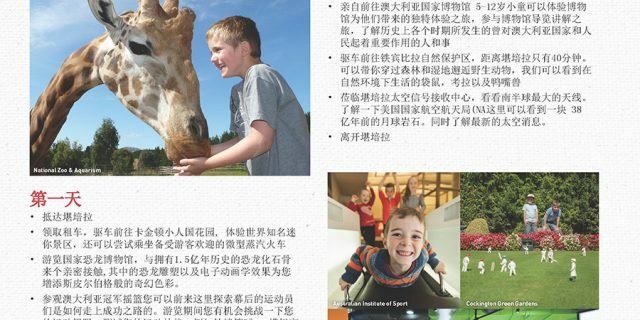 For further information on famils and trade education programs, please contact us.